Sat quietly in the back of our taxi, we wound our way through the streets of central London. As the rain poured outside, people rushed past each other, taking it in turns to raise their umbrellas to avoid any clashes. They were perfectly synchronised – like extras from ‘Singing in the Rain’ – creating a crowd of gently bobbing umbrellas. With Christmas decorations already starting to appear, the city was glittering through all the freezing rain; ready and waiting for that flick of a switch and the arrival of the festivities. This was my favourite kind of London – Mary Poppins London – one free of claustrophobic tube journeys, sirens or sky-high house prices. ‘I’ve got stomach cramps’, Claire whispered. Quickly, I was transported away from Disney-inspired London and back into our now over-heated taxi. Remembering that we weren’t just in London to enjoy this pre-Christmas peace, but to attend the Cosmopolitan Influencer Awards, my stomach flipped too. Last year, after one year of blogging, Claire and I entered the artist formally known as the ‘Cosmopolitan Blog Awards’. Entering ourselves into the ‘Travel’ category, we were stunned to win a prize for our small blog, riding high on the adrenaline of the win – and the contents of the goody bag – for months after. This year, Cosmo decided to shake things up a little, renaming the event the ‘influencer’ awards and removing the ‘travel’ category. Sob. Without an obvious category to call home, yet lured by the promise of another year’s goody bag, Claire and I decided to try our luck at the ‘Best Use of Social Media’ category, in honour of our Instagram account. Unbelievably, and with the support of our family, friends and lovely followers (Mum: how many times did you vote? ), we were shortlisted. Fast forward a few weeks and here we were, anxiously sat in the back of a taxi and ready to spend another cold November’s evening in the company of some of the UK’s greatest ‘influencers’. Arriving at our home for the night – the grand Landmark Hotel – we opened the door to our ‘twin studio’. I’ll write about the Landmark in more detail in another post, but in short, the room was incredible. Featuring a large lounge (with waiting bottle of champagne – uh huh); a huge bedroom with two double beds; and a never-ending marble bathroom, it was by far the most gorgeous room I’ve ever stayed in. Already anxious, the excitement of staying in such a room meant that Claire and I were now shaking balls of adrenaline; sitting down only briefly before getting up and striding across the room to touch a curtain, or purposelessly open and close the wardrobe doors. I felt like that ‘Sim’ that you forgot to tell what to do, instead watching them walk vacantly around their home, muttering to themselves about enjoying the decor or gently swaying in front of window, laughing at nothing. Thankfully, whoever was in charge of Sim Laura and Claire got their act together, realising that we only had an hour to get ready. Quickly calling room service (anxious not to arrive at the Awards neither bloated or lethargic, we naturally ordered two pizzas, chips and coke), before eating it all in a silent frenzy. Our carb-conscious meal over, we slapped on our makeup and squeezed into our glitzy French Connection dresses, before staring anxiously at each other. 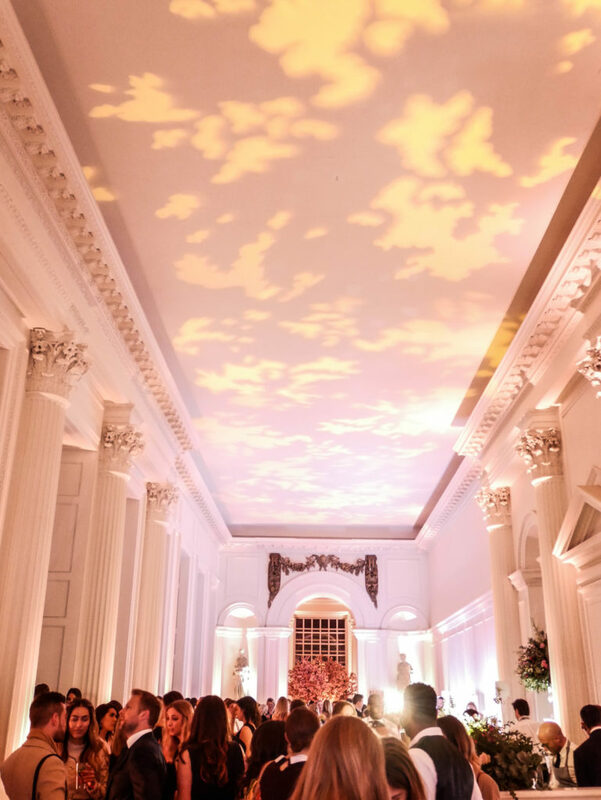 This year, the Awards were being held at the beautiful Orangery, at Kensington Palace. A short uber ride from our hotel, we spent the journey there reiterating to each other how nervous we were and listing our various nerve-induced ailments, all to the dulcet tones of Magic FM. Clambering out the car, I looked up to see the Orangery in front of us, lit up in soft pink hues. It looked unbelievably pretty. After ‘signing in’ and receiving a hot pink wrist strap (which meant we could stay), we wandered into the middle of the long room that made up the Orangery. It was a tall, arching building, filled with pink flowers, a large blossom tree and colourful blooms. Down one side of the room ran a bar, surrounded by beautifully-dressed girls sampling the many Blossom Hill (the sponsors of the Awards) cocktails. Past this was a number of stands, where even more beautifully-dressed girls were having their hair braided, eyelash extensions added and nails painted. And at the very end of the building sat a giant blossom tree, surrounded by the last group of beautifully-dressed girls having their photographs taken. It was all very overwhelming. And beautiful. Thankfully, we quickly found our friend, Laura, off of Heroine in Heels. We met Laura at our very first ‘blogging’ event two years ago, which largely entailed spending a strange afternoon in the basement of a Mercure Hotel somewhere near Southwark. Later that year, Laura would spend a week sleeping on my sofa, before going on an Arctic expedition with Claire. It’s been an unusual first year of friendship. After taking the obligatory photos by the blossom tree, we explored the beauty stands and picked up some pretty pink fortune cookies. I was so nervous that I forgot that fortune cookies tend to contain a small piece of paper; regrettably taking a bite and filling my mouth with both sweet cinnamon biscuit and glue-like paper. As these Awards were being filmed – men with cameras appearing everywhere – this wasn’t the place to slowly regurgitate my chewed pulp of paper into a napkin, grimacing up at the camera lens in front of me. I therefore had no option but to swallow it, washing it down with an Elderflower and Lime Spritz, courtesy of Blossom Hill. Wonderful. Perhaps eating your very own fortune is bad luck in some cultures, because, as Farrah Storr (Cosmo’s very beautiful editor) let us know that the awards ceremony was about start, I didn’t have a very good feeling. We were in a category with some incredible girls, who were all rightful social media ninjas. Our Instagram account, however colourful, seemed to pale in comparison to these ladies and their skillful mastering of YouTube, Instagram, Twitter, Snapchat, Periscope and Facebook. Gathering at the back of the crowd, behind all the other talented ladies, the awards began. This year, a panel had judged each category and created videos describing why they had selected each particular winner. It was all terrifyingly slick and professional. After seeing some great girls win, it was finally time for our category. By this point, Claire’s heels had proven too much and she was sat on a windowsill, sandwiched between some coats and a pile of fortune cookies. She looked at me and signalled that she was either having a heart attack or experiencing some sort of digestive discomfort. I couldn’t tell. My heart was pounding and my fortune (and its accompanying cookie) were churning in my stomach. ‘This girl knows exactly what she’s doing when it comes to social media’, the judge announced. Immediately, we knew we hadn’t won – but that was OK. I had eaten my own fortune after all. Instead, the very deserving winner was the epically popular Fleur de Force; a girl who we follow ourselves and admire a huge amount. We cheered for her – Fleur is a girl showing us all just how to harness social media and all its weirdness, to create something great and ultimately, empowering. With the Awards now over and the nerves gone, we could finally enjoy the rest of the evening. 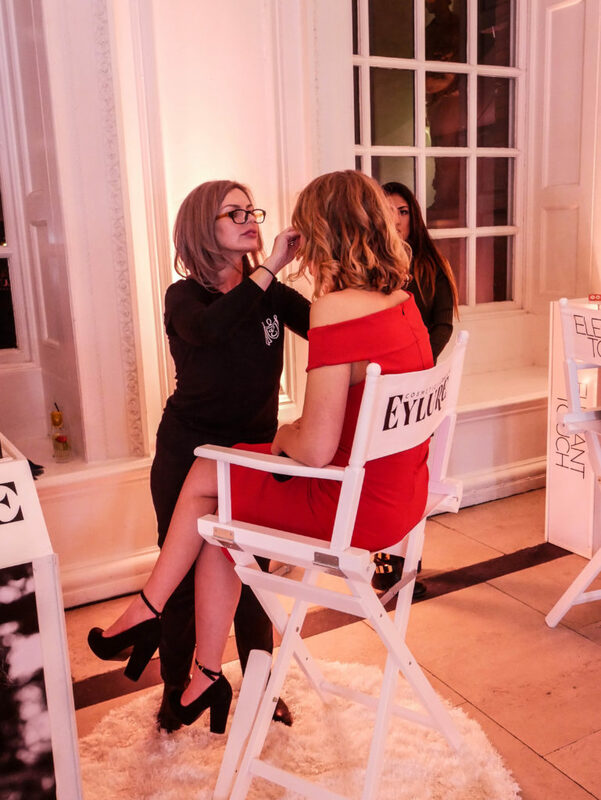 Claire seemed to have recovered from her cardiac arrest and despite being unable to walk in her heels, we were determined to make most of the fantastic night that Cosmopolitan had organised. Funnily enough, we noticed that lots of girls left once the awards had been announced, which seemed a shame. 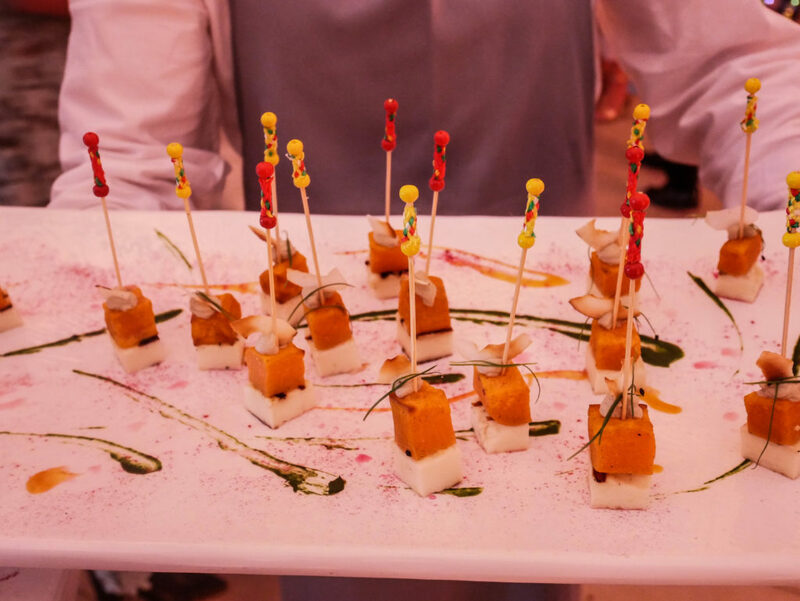 Where else can you enjoy a night in such beautiful surroundings, enjoy creatively presented canapés and drinks, and shamelessly take selfies without feeling at all out of place?! We had a fantastic time: meeting one of our favourite vloggers, Rhiannon Ashlee (although, I think we were so excited to see her, that we ultimately scared her) and lots of other girls we really admire. I got my hair braided, and despite resembling Wednesday Adams, I wore my new braids with pride. We spent a long time playing in the ‘Gif’ booth that was there (a real life Boomerang!) 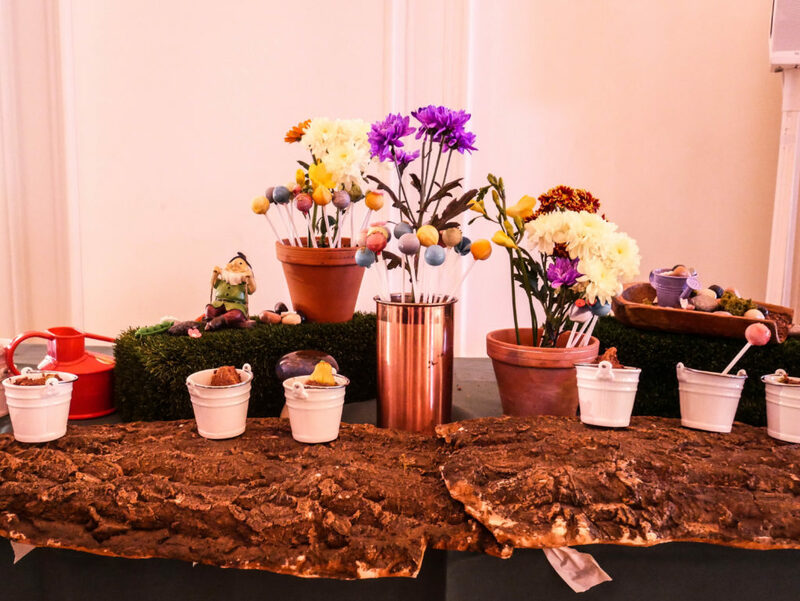 and sampled the incredible desserts; presented alongside little gnomes and decorations. Ah! Eventually, it was time to leave (by this point it was both late and Claire had reached crises point with her heels – standing at just half her usual height). With the rain now falling only gently, we collected our things – along with the coveted Cosmo goody bag – and walked outside into the cold night. 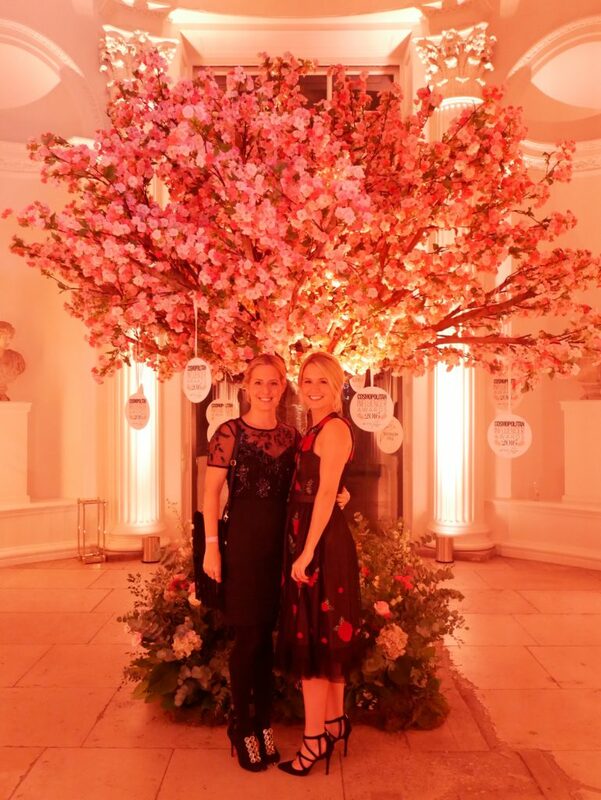 I looked back at the Orangery, lit up in all its beautiful pink glory, and felt incredibly proud to have attended this event for the second year running. As with last year, the Awards are a reminder that anyone can start a blog, an Instagram account, or social media platform – and use it to create something life-changing. Whether it inspires others, creates beautiful aesthetics, updates us all on what we should be wearing or gives us relationship advice, social media has so many great and positive uses. The Cosmopolitan Awards just gives us a great reason to celebrate this. 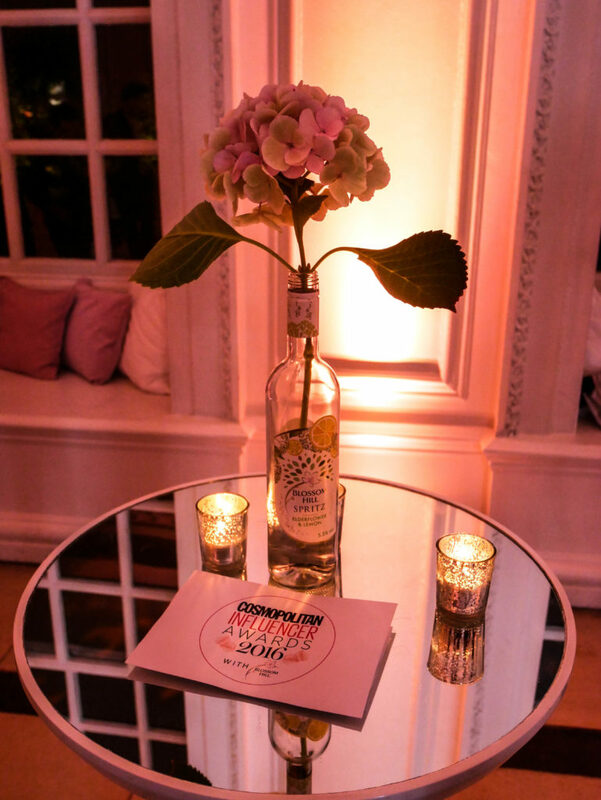 Thank you so much to Cosmopolitan UK for hosting such a beautiful event and for recognising so many talented girls. Thanks also to all the lovely people whose nominations meant that we were shortlisted! Are you thinking of entering next year? Let us know below. If we can make it there, anyone can! Ah, bummed you girls didn’t win this time around, but definitely great to be shortlisted! Either way, I’m sure it was a great experience and certainly made for an entertaining read!